I’ve been doing a lot less mindless scrolling these days, and dedicating more time to do the simple things I love — like journal, read and even re-evaluating my life around technology. At the end of the day, we co-create the environment we’re in, what we choose to do with our free time and what we expend our energies on. Instead of focusing on body based healthy habits, I want to share with you 5 awesome, NON-DIET based, healthy habits I’ve taken on. Hope you’ll join me! Protect your energy - … Especially the energy you have when you start your day! I’ve been thinking so much about social media lately and the insane amount of time we waste mindlessly scrolling on Instagram. I used to start my day in bed like this: snooze a few times, scroll through Instagram and then begin my day. Sometimes my head would spiral into comparison mode (no one should start their day off like this) and mostly I just wasted precious time. Going down the rabbit hole that is Instagram can be soul sucking energy. Now, I wake up without looking at Instagram and don’t respond to emails or texts until I’ve taken care of me. I feel more refreshed and happier. Starting Journaling - I know this sounds cheesy but there are so many benefits. Something magical happens when thoughts get transferred from mind to paper. Below are two ways you can go about doing this. Stream of Consciousness Journaling - This is a great tool to alleviate stress and improve your mental health. The key is to write down any thought that comes to mind. It doesn’t have to be a complete thought or sentence. This is a no-judgement where you can write how you’re feeling, from what bothers you to what excites you. Allowing your thoughts to flow gives you space to increase self-awareness and improve your creative potential. Ever take long hot showers, zone out while reflecting on things and suddenly a new idea/different perspective pops into your head? This is the magic that often happens when we self-reflect. Writing what you are grateful for helps you gain clarity on what’s important in your life, shifts the focus to what you have rather than what you don’t. Move Your Body in any direction, however you want. If dancing is your thing, turn up the music and dance! Yoga? If you can move your body you can do yoga anywhere. #truth. If you’re new to it please message me, I’m happy to share virtual recs and studio recs in NYC! If you want to try classes, you can Google “free Classpass trial in (your state)” to test it out! BUT here’s the catch: Instead of focusing on an end goal (weight loss, toned arms, abs) can you consider shifting the focus to feeling GOOD?! The best exercise is the one that you enjoy and it will bring out the feel-good endorphins! Breathe - Yup. This is probably the most underrated advice out there but it’s probably the best advice I’ve ever received and I’m sharing it with you. Whenever you feel tension, anger, sadness, stress, nerves and anxiety, I encourage you to return to your breath. Breathe in deep belly breaths and long exhales 3x and see what happens. And because getting really great at what we do means practicing it not only when times are tough, but when things seem “easy, ” I’m going to encourage you to breathe deep belly breathes when you are doing dishes, standing on a crowded subway, walking up a flight of stairs, sitting at your desk. Can you relax a little? Release some tension in your body? Stress contributes to inflammation in the body so anytime you can let go and release is a gift to the mind and body. Set the Scene for a Restful Night - OK. Be honest. Think about how many times you pick up your phone in a day, how many hours you spend staring idly at a computer screen at work, TV screen at home, and phone screen for all other hours in between. AHH! 1. Exploring the local area! 3. 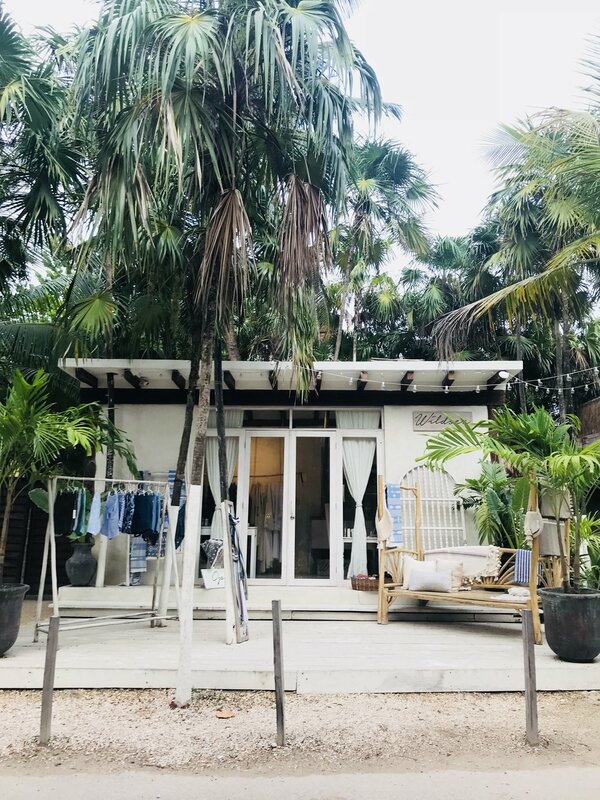 Dining in the jungle, boho chic shops, tacos galore; Tulum is literally every blogger’s (and non-blogger’s) dream come true. Incase you're planning to visit, here's a mini timeline of our trip to Tulum (pronounced Too-Loom), which I hope can help you ease the planning process! We flew from JFK to Cancun, where we rented a car to drive to Tulum, which was ~1.5 hours away. I knew cell service would be spotty so I created a Spotify playlist to jam to (turns out he's a singer too)..but mostly, music just makes everything better! Rented at an Airbnb in Aldea Zama, a private area in Tulum with lots of condos. We had a pool at the top which was really amazing to relax on in the early mornings/late evenings. There was a 24/7 security guard and we felt safe. 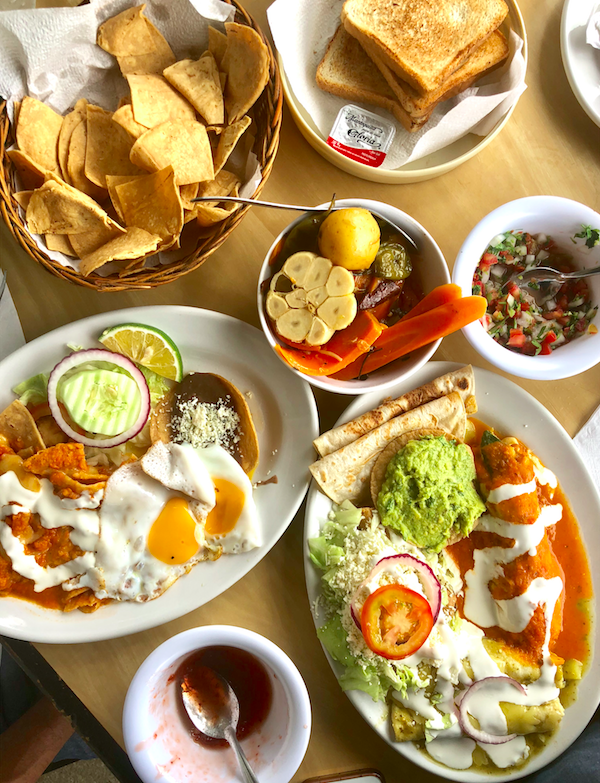 We basically ate our way through the city (see recs below! ), went snorkeling in crystal clear blue water at the Grand Cenote, and visited the Mayan Ruins. After 6 days we made a spontaneous decision to leave Tulum a little early and spent the last night at a resort in Cancun. I loved this because the hotel was 5 minutes from the airport, so instead of driving before our flight, we were able to sit back, relax and enjoy the pool! OK, convinced you need to visit Tulum yet?! CA$H!!! Bring lots of it. 9/10 restaurants are cash only. Consider bringing a credit card that doesn't charge conversion fees. Bug spray. We used it everywhere we went. Remember, everywhere you go...restaurants, bars, shops, it's all outdoors in the middle of the jungle. Don't spray at your own risk. None of that organic, herbal stuff! This is something I don't mess with - bring on the chemicals Johnson & Johnson! Sun screen - don’t be the person who sacrifices their health for “beauty” ...you can wear sun screen AND still get a tan! Fact. I tried my best to keep an open mind - this place had great Yelp reviews and the flavor of the tacos lived up to its hype. Shrimp ones were way better than the fried fish. Ronak liked the beef ones better than the chicken! We came back here another day to get our taco fix for lunch! Super Instagram-able breakfast spot. Yummy food but has more of an Australian/American vibe to it. The atmosphere is fun and inviting, would recommend coming here if you’re feeling a light breakfast or refreshing smoothies. As authentic as Mexican food gets! We discovered this gem on our last day and had we tried it sooner, we would have def eaten here for breakfast and dinner! They give you free nachos, guac, salsa and pickled veggies. Every dish we had was flavorful. Do not visit Tulum without coming here. They offer a handmade coconut flour one (even the BF approved) and juices/smoothies/kombucha which was a much appreciated switch up for moi. The burritos changed my idea of what a burrito was back in the states. Forget everything you know about Chipotle and don’t leave Tulum without trying an authentic burrito from here. We came here once for brunch and twice after for our morning coffee. When it comes to coffee we mean business - the cortados were 👌🏽. This was the only place I came across that served non-fried/nonbattered shrimp tacos and OMG I could’ve had another order to myself. Think al pastore but swap the pork for beef! Fruit platter with the large mango won us over - if you’re one of those people who have trouble moving their bowels on vacay (hey just keepin it real!) highly recommend eating fresh fruit and lots of water. You can thank me later. Ronak surprised me with this find and it was both of our favorite of the “fancy” restaurant series! I’m a sucker for lights and when we came here for dinner, the atmosphere was que romantique! Imagine sitting in the middle of the jungle with candles everywhere, music, they even had people walking through with smoke buckets which was added to the dreamy atmosphere and helped keep the mosquitos away. If you can sacrifice taking pretty pics of your meal, come here when the sun sets! Do you have a food that you really like, but don't eat very often? And when you do, you are instantly transported back to that moment in time when you were really happy? For me, carrot cake is just one of those feel good foods. I remember my mom buying it for me as a kid. She'd always get me either a carrot cake or a strawberry shortcake for my birthday. So when Ronak and I were talking carrot cake the other day, I was super excited when he told me that it's also one of his favorite cakes. I thought, instead of making cake (which I'd probably end up waiting until the evening to enjoy with him after work) ... why not make a carrot cake MUFFIN so we can both start our day off with feel good vibes?! AND OMG - if happiness were a muffin, these are it! I just have one confession. Whenever I Google search something, I always add "best" in front of it. And so I felt compelled to write "best" in front of this recipe because I kid you not, these are seriously the *BEST* carrot cake muffins ever. I'm so glad the recipe actually came out to make 18 muffins instead of the traditional 12 count, because I was able to keep several for us while being able to adequately share it with family and friends! I hope you enjoy the recipe below and as always, I love seeing your creations so be sure to tag me if you make these! Lightly grease a muffin pan with canola oil or use muffin cups. I used a silicon muffin pan and lightly coated it with oil. In a large bowl, sift the whole wheat flour, baking soda, cinnamon, salt and sugar. Set aside. In another large bowl, add the wet ingredients - the eggs, canola oil, vanilla, pineapple, carrots, walnuts, raisins. Whisk together. Next, combine the dry ingredients with the wet ingredients in one bowl. Gently mix until flour is combined. Be careful not to over-mix as this can create a tough muffin! Scoop 1/4 cup of batter into each muffin cup. Bake for 20-25 mins, until golden brown and center comes out clean. As promptly as you can, remove muffin cups from the pan so they don't continue to bake in the hot pan. Set aside to cool. Refrigerates well for ~2 weeks. Sign up for delicious recipes, updates and inspiration from me that I don’t share anywhere else. You’ll receive an email shortly. Please remember to confirm your subscription, this is to ensure that you are opting in, not a robot. ©NOURISH NEW YORK. LAURA IU, RD 2018. Read our Terms and Conditions, Privacy, and Use.